Thank you Goodleaf tree climbers! We’re really chuffed to let you know that our tree climbers raised a massive £683.15 for this years Isle of Wight Christmas Toy Appeal. Thank you to everyone who took part in the Vertical Marathon – your generous donations and excellent tree climbing skills meant we raised lots of cash for a great local charity. 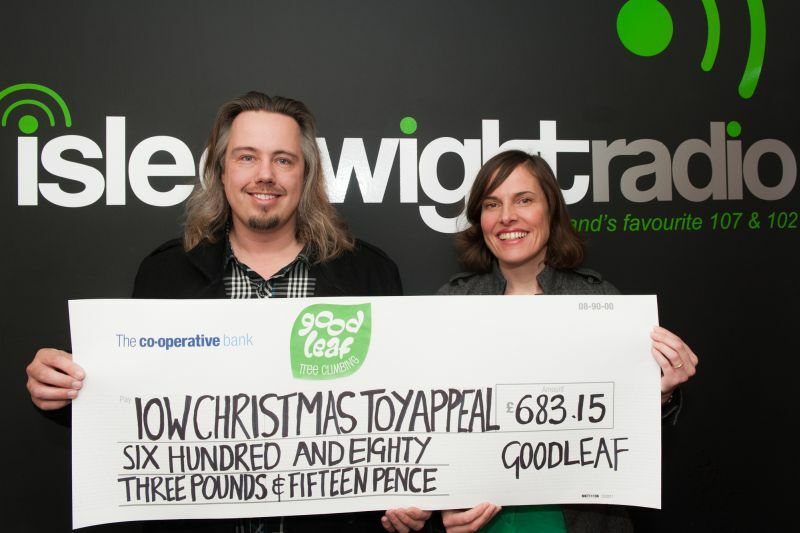 I went to Isle of Wight Radio to chat about what we did and present the big cheque to Daniel Rooke, Appeal Organiser.